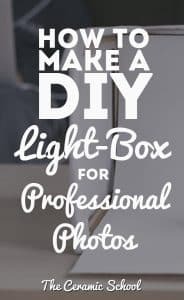 Light boxes are pretty much essential if you want to take great photographs of your work, but if you haven’t got $100 to spare, you can make your own DIY Light Box really easily. Another great thing about using light boxes is that you can change the background colour really easily – just by changing the paper that’s inside. You would have noticed that most photos in ceramic magazines have a dark gradient background . While this is currently the norm, you can also play around with brighter colours which could suit your work better. You can get a multi pack of different coloured gradient paper from amazon . It’s a nice little weekend project to do. It’s cheaper than buying a light box. You can start to take professional photographs of your work. Having your own photography space makes the task of photographing your work less daunting and less time consuming. Step 2: Cut a hole in 3 sides of your cardboard box (top, left and right) and cut off the other side for the opening. Step 3: Tape the tissue paper over the holes. Step 4: Add some background paper to the inside of the box – attach it diagonally from the top corner furthest away from the opening, to the bottom of the opening, and give it a nice curve at the bottom corner. 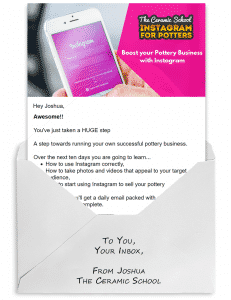 Step 6: Place your ceramics in the middle of the box, and start taking professional photos! Mark a point on the inside of your DIY Light Box to show where you should place your work – this means all of your work will be in the same place, and centered correctly when taking photos. Use a phone stand or a tripod to hold your camera in position – this means that all of your photos will use the same angle and distance. Design your Light Box to be foldable, so you can store it away when you don’t need it. 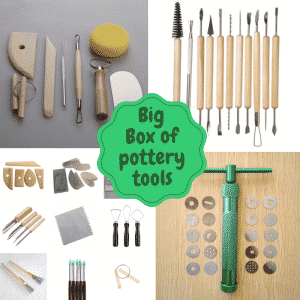 Use coupon “TheCeramicSchool” to get 20% off everything! If you have the time (you only need around 20 minutes!) and if you have the space in your studio (depends on which size you want to make), and if you are currently taking sub-par photographs of your ceramics, then you should invest in making your own DIY Light Box. Of course, if you have no time, or your DIY skills aren’t up to scratch, then buying a light box is also an option, and if so, then you should check out our blog post about the best light boxes to buy. 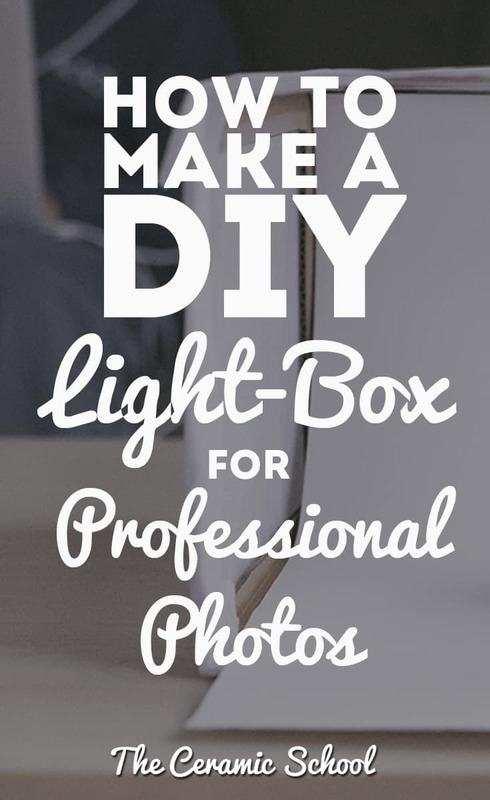 Let us know how you get on building your own DIY Light Box in the comments below!